In a couple of weeks we’ll be leaving for our family vacation to Alaska, and I’m so happy to say that I have finally finished booking everything! Normally, I love planning our vacations, but this trip was the most difficult vacation to plan yet. The biggest problems planning this trip were deciding on where to stay and for how long. Since Alaska is so huge, you really can’t base yourself out of one place. To get the most out of your trip to Alaska, you need to spend a few days here and there. And then where to stay was tough. We usually just pick a chain hotel, and based on past experiences with that chain, I know we should be fine in our choice. Well, Alaska is a little short when it comes to the chain hotel options. Sure, Anchorage wasn’t a problem, but everywhere else was. For our 10 day vacation, we are traveling through the Kenai Peninsula. We’ll be starting and ending our trip in Anchorage, and then have stays in Homer, Cooper Landing and Seward. The excursions I’ve booked are a glacier cruise in Whittier, halibut fishing in Homer, salmon fishing in Homer, fishing on the Upper Kenai River, a float trip on the Upper Kenai River, and a sled dog tour in Seward. Amazingly, we have a couple of days with no plans too! 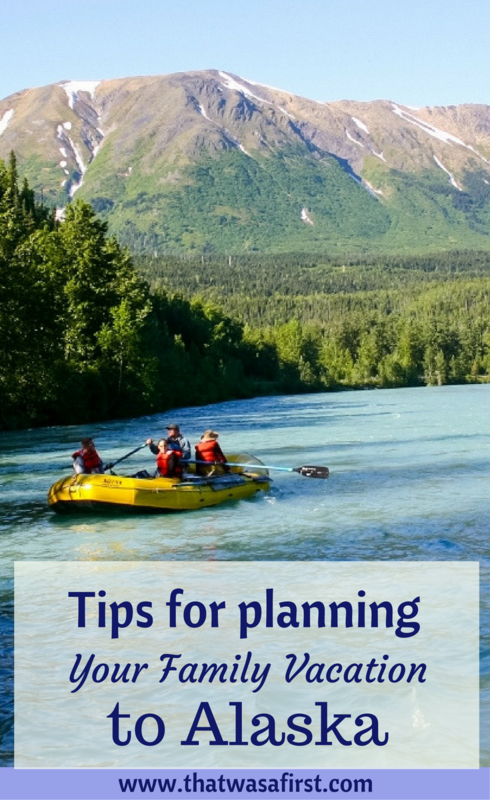 Now that I’m done with the planning (and really need to start packing), I thought I would share some tips on planning your first vacation to Alaska. 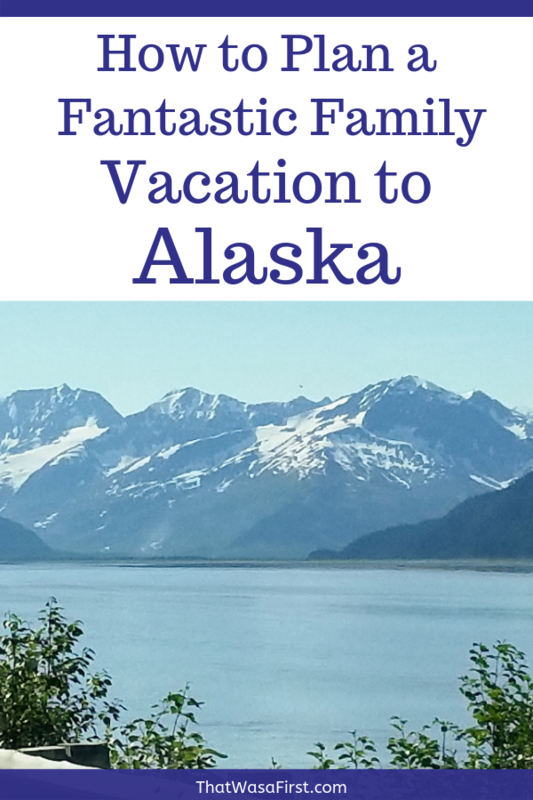 This post is part one in our series on family travel to Alaska. Be sure to also read the other posts to help you plan the best family vacation ever! 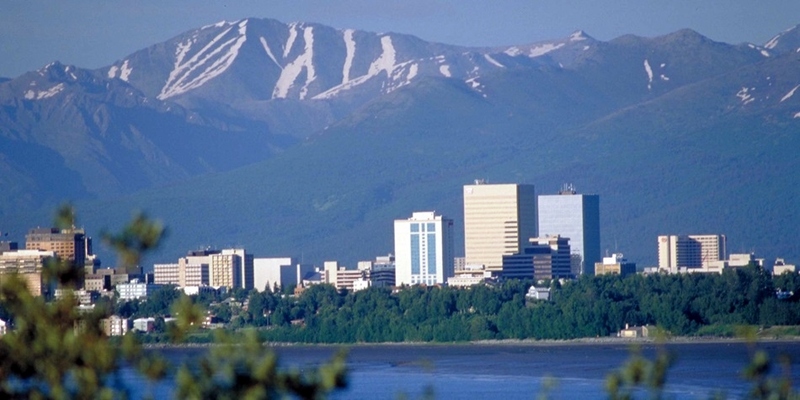 Alaska has a very brief tourist season and a lot of people who want to go there. You have to decide where and when you are going, and start planning your trip at least one year ahead of time. Some excursions and lodging book up surprisingly fast! Our family decided last August that we were definitely going to Alaska this summer, but I kind of had an idea early last year that we would. That was when I started looking into the points and miles opportunities for Alaska. Not much out there. So, yes, that’s when the realization sunk in that this was going to be a little difficult to plan. Once you pinpoint when you are going, you have to figure out your flights. We are flying between Minneapolis and Anchorage using miles. Since I used miles for all four of us, I absolutely needed to book our flights as soon as the schedule opened up 11 months in advance of our trip. We are flying on Alaska Airlines and Delta for our trip, and I wasn’t the only one booking flights as soon as the schedule opened up. Seats were selling left and right! Some people were really on the ball! We ended up getting decent flights, and my husband is so excited to arrive in Anchorage at 1:45 a.m. I just have to keep reminding him that we are using miles and don’t get the best choices! That brings up another tip. Since we arrive at 1:45 a.m. and renting a car for our trip, I didn’t start our car rental until 10:00 a.m. after our arrival. If we would have picked up our car after we landed, we’d be charged for another day of rental. All we’d be doing is driving it straight to the hotel to crash (into bed…not crash the car). Our first night is in Anchorage at a hotel that has an airport shuttle. We are having the shuttle pick us up after we land, and then we’ll take it back to the airport the next morning to get our rental car. Once we get into our rental car, I can already hear my husband asking “where are we going?”. I do not want to waste any precious time while we are in Alaska, and we don’t want to miss anything. So, this is where the advance planning and research was necessary. The biggest and most jam-packed book with a ton of Alaska information has to be The Milepost. I have the 2016 version and now know much more about Alaska than I thought possible. You find the route that you will be driving and this book tells you every stop every mile of the way. They point out the hot fishing spots, where bears may be a problem, and where the best scenery is. Seriously, this book is it! If you aren’t sure of the areas of Alaska you want to travel to, I recommend buying the Fodor’s Alaska book to get a good overview of the state. Fodor’s always has good descriptions of the lodging and restaurants at your destination. Their Alaska book also covers a lot of the excursions and tours that are available. This book is a great resource to start with. Check out your local library for their selection of Alaska travel books too. Once you decide where you are going, you’ll want to visit the websites for the cities that you’re staying near and request more information. Since we are starting and ending our trip in Anchorage, I requested and received a very helpful book about the city and surrounding area. You can request one at this website. Another suggestion for travel information is to use Google, Pinterest or to search the travel blogs that you read. If you are a member of AAA, be sure to read thru their free travel information. You can request travel information and road maps to be sent to you for quite a few states and cities across the US. Just login to your account and under the travel tab you’ll see “order maps and tour books”. Another knowledgeable source of travel information is from the places where you are going to stay at. I have a couple of emails full of “what to do while you’re here” with websites, details and even discounts that are available. Where to stay? This was so hard to decide! To have the most options, you absolutely need to book as far in advance as possible! 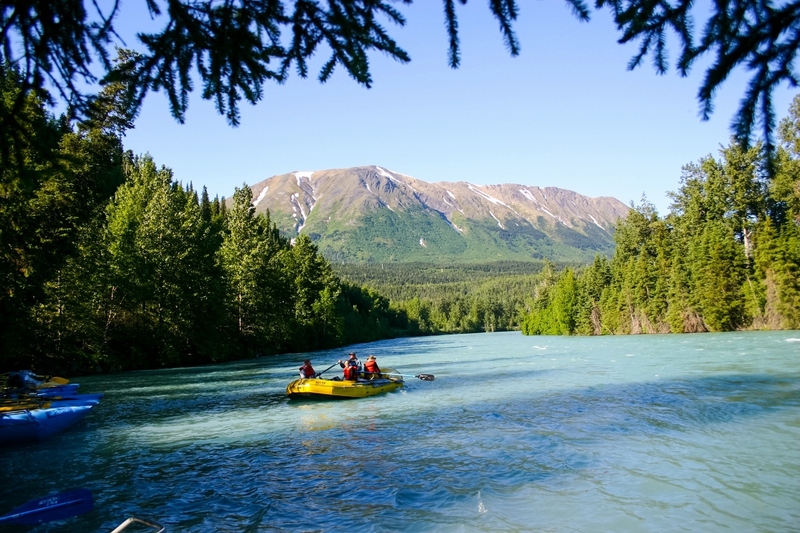 The Kenai Peninsula really has a lot of choices ranging from luxury to quite rustic. There are chain hotels (a few), resorts, lodges, bed and breakfasts, motels, cabins, VRBO, and campgrounds. A helpful place to start your lodging hunt are The Milepost and Fodor’s books, and then do a lot of searching online. I used Google maps for locations, I cruised Trip Advisor for pictures and a general idea of how places ranked, and visited a lot of websites. I’m pretty satisfied with what I’ve booked and will provide details after we return home. We are staying in a chain hotel in Anchorage, a motel in Homer, a bed and breakfast in Seward, and a lodge in Cooper Landing. There’s a little variety and nothing too rustic. Sometimes I think that I travel just to try out new restaurants. I’m sure I’m not the only one who feels this way! I always scope out some options of where to eat whenever we travel. There are some places we just don’t want to miss! A simple way to find places to eat ahead of your trip is by looking at Google Maps and finding restaurants close to your lodging. I’ll also check out the rankings, prices and websites. If it looks like a good choice, I’ll print out the menu. Yes, I’m the girl reading restaurant menus on the airplane. Since this is Alaska, you will probably want to eat halibut, salmon, and crab right? Your best chance for a delicious meal is to look for restaurants that have been in business for a long time or if it’s a place that the locals eat at. I’m told that there’s a lot of beer in Alaska and my husband has warned me that we’ll stopping at a few brewpubs on our journeys too! Eat and drink what’s fresh and made locally for the best eating experiences! This is the perfect time for your family to try something for the first time. The best and most honest travel information usually comes from people you know. Ask your friends and family, who have been to Alaska, for their suggestions. 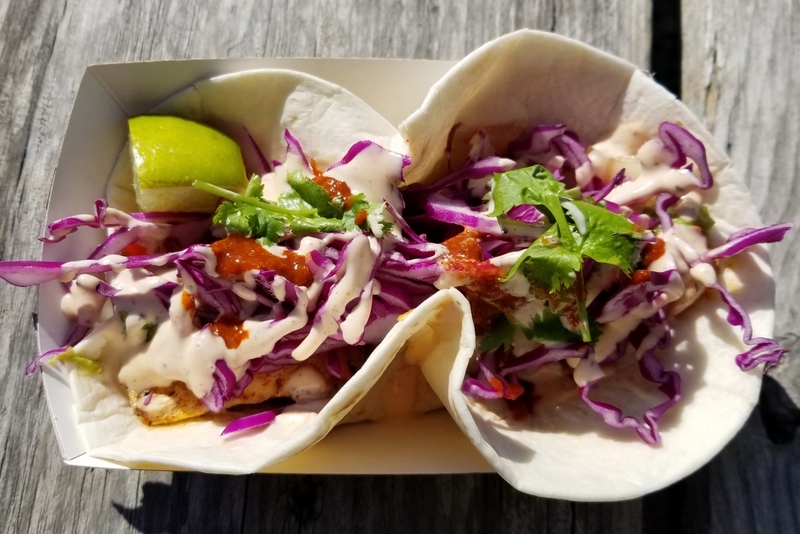 You will likely hear where to eat, which tour you need to take, and where to catch all the fish. We can’t wait for all of the first experiences that we are going to have! What are your best Alaska tips? Thanks for informative sharing. I also have a plan to go there in coming up days to enjoy my holidays. You’re welcome! Have a great vacation! I do like that you recommend picking your dates ahead of time. After all, if you’re planning a trip to Alaska then you want to make sure you do it at a time where things will be more available. It might help to talk to a travel agent or someone similar to decide when the best time to fly to Alaska is. I agree Callum! We stopped into our local travel agent when we were first dreaming of Alaska and asked a few questions and picked up some info. We maybe picked up some travel booklets for Disney and Hawaii too….